FOXBOROUGH, Mass. (AP) — The day after Justin Tucker made a 61-yard field goal, Bill Belichick thought of a foolproof way to prevent such long kicks. Tucker’s 61-yard field goal with 38 seconds left Monday night gave Baltimore an 18-16 win over Detroit. It was his sixth successful kick in six attempts in that game and extended his streak to 33 successful tries, fourth longest in NFL history. Two weeks earlier, he went 5-for-5 in a 22-20 win over Pittsburgh. And the week before that, he went 4-for-4 in a 19-3 win over the New York Jets. Harbaugh was special teams coordinator for the Philadelphia Eagles from 1998 to 2006 and became coach of the Ravens in 2008. Tucker wasn’t drafted out of Texas, but the Ravens signed him as a rookie free agent in May 2012 and he’s made 92.9 percent of his NFL field goal attempts. This year he kicked game-winning field goals in the opener at Buffalo and in overtime against Denver on Nov. 24. 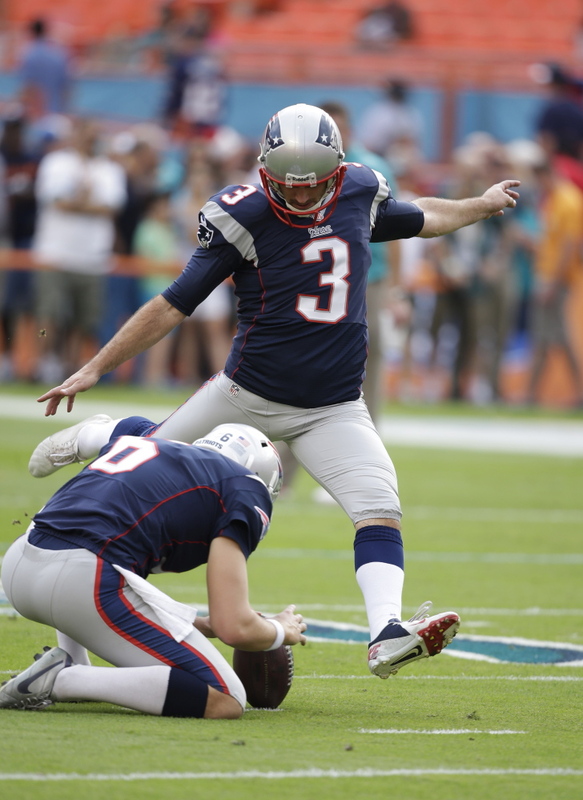 The following Sunday, he kicked the Patriots to a 34-31 win at Houston with a pair of 53-yard field goals that tied and won the game in the last 7:16.